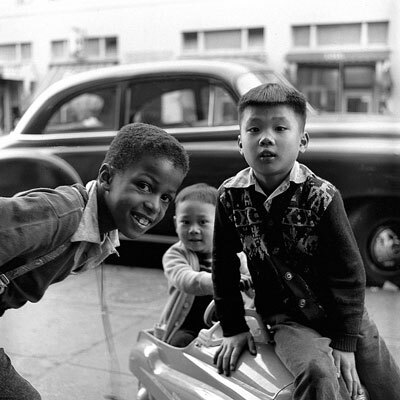 When Gerald Ratto was a student at the California School of Fine Arts in the 1950s, he would hang out in the Fillmore with his camera and a bottle of brandy, which sometimes made it easier to make friends. Ratto went on to become an admired architectural photographer and hadn’t thought much about those Fillmore photos since 1952, when he made them, until a few months ago when he stopped by Tadich Grill for dinner. He struck up a conversation with two men sitting alongside him at the counter. It came up that he was a photographer. “Ever take any pictures in the Fillmore?” one of them asked between bites of his sand dabs. Ratto said he had, as a matter of fact. He was encouraged to show the photographs to Peter Fitzsimmons, head of the new Fillmore Heritage Center, who was organizing exhibitions exploring the neighborhood’s history. “I figured maybe he’ll take two or three pictures,” Ratto recalls. “He took all 52!” Which meant Ratto had to get them all framed—a pricey proposition. 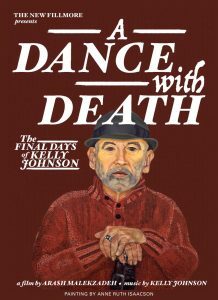 But he did, and the entire Fillmore series hung, beautifully framed, in the center’s gallery for several weeks at the beginning of the year. It was the first time the images had been shown. Along came B&W Magazine, which showcases photography, and spotlighted Ratto’s work. 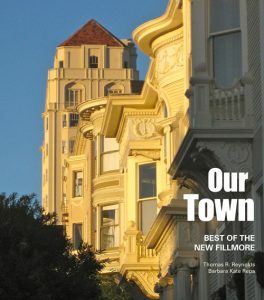 “Ratto’s Fillmore series captures a unique time and place in the history of San Francisco,” the magazine reported alongside a portfolio of his photographs in its August 2009 issue. Gallerist Robert Tat, who specializes in photography, saw the work and invited Ratto to show the Fillmore series at his gallery. The exhibition opened downtown at the Robert Tat Gallery on November 5 and continues through January 30. But he was also annoyed. 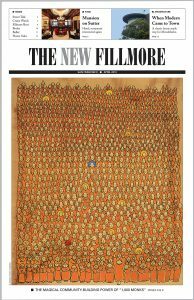 All in all, it has been quite a year for Gerald Ratto, now 77, and his images of the Fillmore in 1952.